Aren’t you just dying to know these women’s stories? Apparently, they were all medical students from the Women’s Medical College of Pennsylvania. You can understand the fascination. On paper, Joshi’s life seems hugely regressive, but in reality it was anything but. She was married off at the age of nine, to a 20-year-old man. Unusually, he believed fervently that she should be educated, and took her lessons on himself. 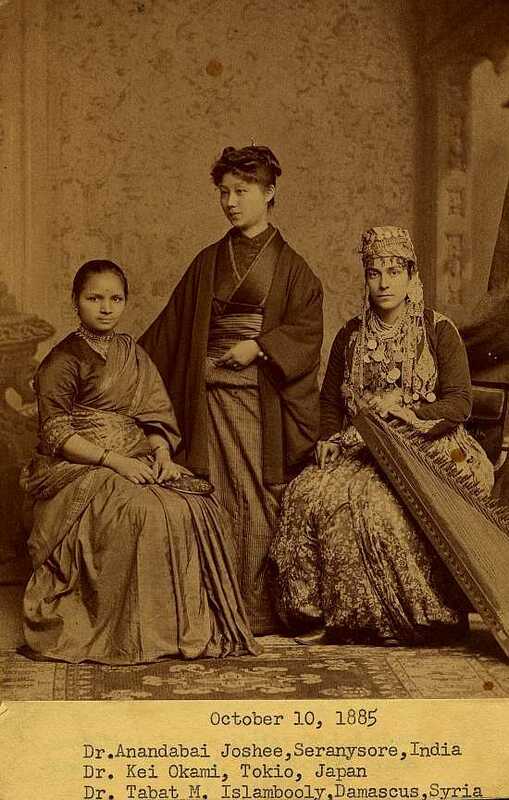 I can’t stop thinking about what it must have been like to travel across the world in 1885 as an Asian women to attend medical school in Philadelphia. So many stories!